This attachment belongs to You just got hurt. It was crazy. 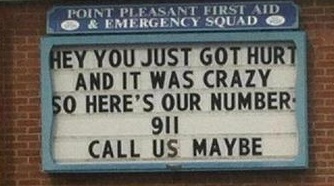 Call us maybe?